Vancomycin is often used to treat infections caused by β-lactam-resistant bacteria. However, methicillin-resistant strains of Staphylococcus aureus (MRSA) acquired resistance to vancomycin, rendering it less effective in the treatment of serious infections. In the search for novel antibiotics, alternative delivery mechanisms have also been explored. In this study, we report on the encapsulation of vancomycin in PLGA [poly(DL-lactide-co-glycolide)] nanoparticles by electrospraying. The nanoparticles were on average 247 nm in size with small bead formations on the surface. Clusters of various sizes were visible under the SEM (scanning electron microscope). 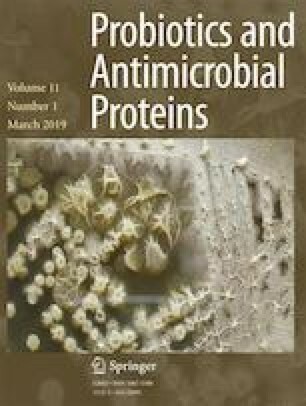 Vancomycin encapsulated in PLGA (VNP) was more effective in inhibiting the growth of S. aureus Xen 31 (MRSA) and S. aureus Xen 36 than un-encapsulated vancomycin. Encapsulated vancomycin had a minimum inhibitory concentration (MIC) of 1 μg/mL against MRSA compared to 5 μg/mL of free vancomycin. At least 70% (w/w) of the vancomycin was encapsulated. Thirty percent of the vancomycin was released within the first 144 h, followed by slow release over 10 days. Vancomycin encapsulated in PLGA nanoparticles may be used to treat serious infections. The Central Analytical Facility (CAF) of Stellenbosch University for assistance with ultra-high-pressure liquid chromatography (UHPLC) and liquid chromatography mass spectrometry (LCMS). This work was financed by the FraunHofer Institute for Machine Tools and Forming Technology (IWU), Chemnitz, Germany.